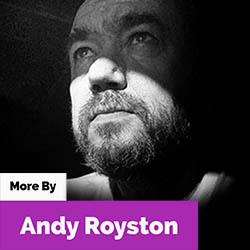 Andy Royston pays tribute to the hardest working man in show business. 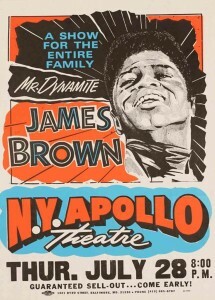 I first saw James Brown’s amazing live act in London in the early 1980s. He was around 50 years old, but the show was every bit as passionate and energetic as it as when he exploded onto the stage in the early 1960s. A recent biopic concentrated on his musical impact, but equally important was the energies Brown devoted to social causes, particularly the youth. He was dedicated to preserving the need for education amongst young people. The story goes that a young James, born in a one room North Carolina shack, was brought up by his Aunt Honey, who ran a brothel in Augusta, Georgia. Poverty dominated his upbringing. At the whorehouse, he was frequently beaten by his father and other male tenants. 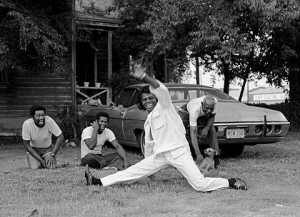 James said that he danced for money, shined shoes, picked cotton and was thrown out of school for “insufficient clothes”. At the age of 15 he was given an eight-to-sixteen year jail sentence (he served three) for breaking into cars. The impact of the song got him all the way to the White House and an audience with Vice President Hubert Humphrey who had been working on a stay-in-school program of his own. Lydon B. Johnson cited Brown for being a positive role model to the youth, while Brown later would gain the ear of Richard Nixon who appeared sympathetic to his plea for more federal funds for black businesses and black colleges. Rather die on our feet, than keep living on our knees. I don’t want nobody to give me nothing, open the door, I’ll get it myself. James Brown spoke out against violence right to the end; his last single was called Killing is Out, School is In. He’d spent most of his life focused on helping kids and actively gave through several youth-focused charities. He’s of course known for his vocal opinions on Civil Rights and the Vietnam War (he would travel there to entertain the troops), but throughout the remainder of his life he made public speeches in schools and continued to advocate the importance of education in school. Brown reportedly gave out money and other items to children while traveling to his childhood hometown of Augusta. Want to help? Here’s a link to the James Brown Family Foundation. 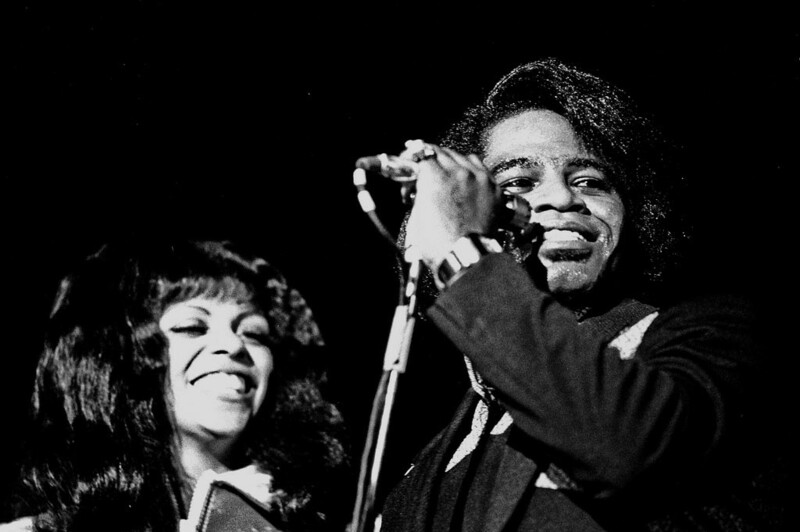 James Brown, February 1973, Musikhalle Hamburg. Photo by Heinrich Klaffs / Flickr Creative Commons.